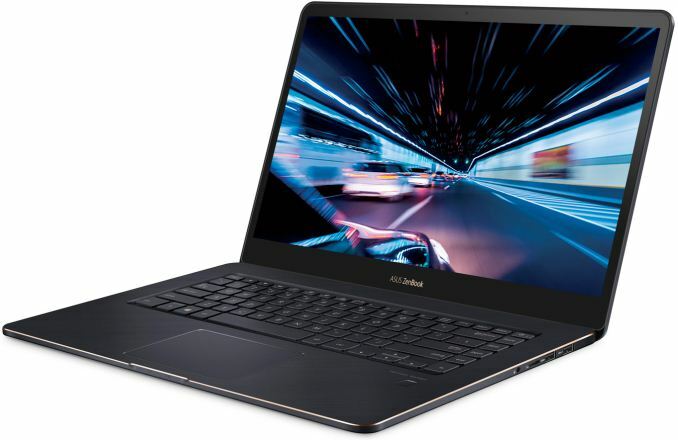 ASUS has started selling its 15-inch ZenBook Pro 15 UX550GE ultra-thin laptop featuring Intel’s six-core processor, NVIDIA’s discrete GPU as well as a factory-calibrated 15.6-inch display with a 4K Ultra-HD resolution. The laptop is available in only one configuration, but good news is that it is relatively affordable as it costs less than $2000. The ASUS ZenBook Pro 15 UX550GE-XB71T is based on Intel’s six-core Core i7-8750H processor accompanied by 16 GB of DDR4-2400 memory as well as a 512 GB NVMe SSD. 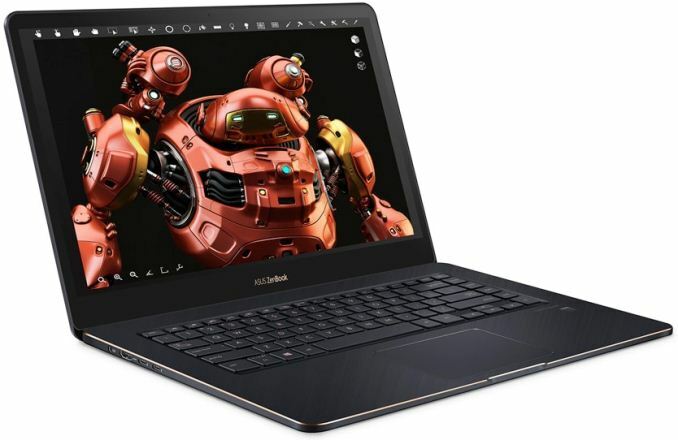 The laptop has NVIDIA’s GeForce GTX 1050 Ti GPU with 4 GB of memory that drives its 15.6-inch multi-touch IPS display featuring a 3840×2160 resolution and is factory-calibrated to a Delta-E <2 accuracy. The latest ASUS ZenBook Pro 15 comes in ‘Deep Dive Blue’ aluminum unibody with rose gold edges to highlight its first-class nature and positioning. The laptop features an 18.9-mm z-height and weighs 1.86 kilograms, thus being thinner and lighter than most 15.6-inch laptops. As for battery life, the notebook can work for 9.5-hours on one charge (according to MobileMark 2014) on its 71 Wh lithium-polymer battery. On the wireless connectivity side of things, we see Intel’s Wireless-AC 9560 CNVi solution featuring 802.11ac Wi-Fi (with up to 1.73 Gbps throughput) and Bluetooth 5.0. As for physical connectors, the notebook is equipped with two Thunderbolt 3 ports, two USB 3.1 Gen 2 headers, an HDMI display output, a microSD card reader, a TRRS audio jack, and a proprietary jack for charging. As for conferencing, the laptop has a VGA webcam, Harman Kardon-badged stereo speakers, and a microphone array. 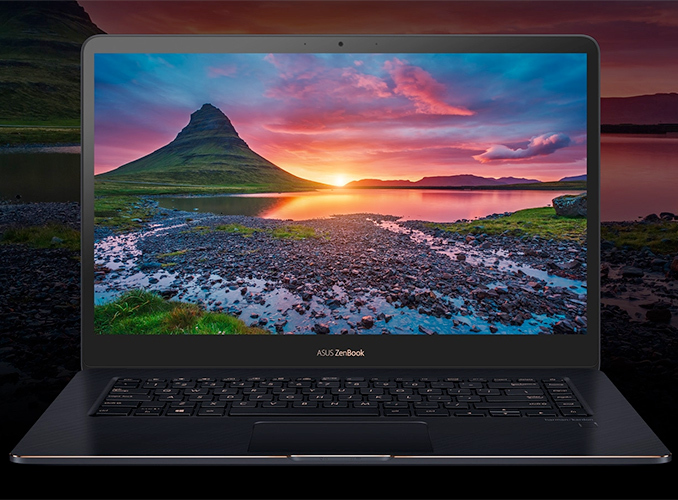 The ASUS ZenBook Pro 15 UX550GE-XB71T notebook is available directly from ASUS in the U.S. as well as from large retailers like Amazon and Newegg. 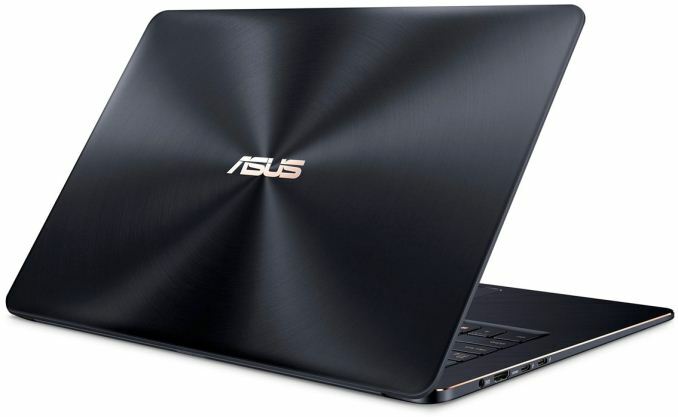 The laptop costs $1,799, but eventually ASUS may expand the number of configurations and introduce models that are more affordable (Core i5-8300H-based) or more expensive (Core i9-based). Looking at similar specced models (i7, 1050Ti, 15" 4k, 16GB, 512 GB) the cheaper HP models are significantly thicker/somewhat heavier roughly 1" vs 0.7", Lenovo has a model that's a much closer match selling at $1680 discounted from a $1849 MSRP. That suggests that once the it's new so we're not going to discount it at all period is past the Asus should be a lot closer to it in price. And while still relatively fat the HP Omen is the only premium segment model (pavilion's are a mainstream model) is also $1700. And in the ultra-thin category I think there's a lot to be said for staying with lower TDP models to keep temperatures/fan volumes down. Intel keeps them OSS and they are in mainline kernels. Very little problems so far. Um. Thats not how those numbers work. You are quoting TDP.